Welcome to my Astrology Blog! I have started the project in Taurus month, a good time to plant a seed in the nurturing, firm earth. 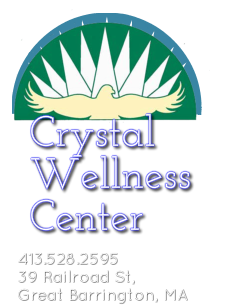 My name is Suzanne Gould, and I give private Astrology Readings at Crystal Wellness Center. Many people have asked me: "What happens in an Astrology Reading"? There seems to be a lot of confusion about it. I will start by telling you what does NOT happen in a reading. I do not tell you scary things about your future, and I do not make predictions set in stone, like "do not leave the house today because a truck will run over you". My work is never about that! It is meant to be uplifting and about self-knowledge and self-mastery. This is what DOES happen. Your natal chart is a map of the planets/asteroids/stars at the exact moment of your birth. That is a blueprint of your true potential, of your inner nature, of your gifts and talents. I try to unlock the keys to this potential energy, to lead you to the highest and best YOU that you can be... but the decisions are all up to you and your free will mechanism. You can take those energies in any direction that you choose. And as the present time unfolds, different windows of potential energy open up for you -- enabling you to take different paths as time goes on. I am really here to tell you about YOU and how to get excited about moving forward, to move past blocks and UNFOLD and FLY like a beautiful butterfly.